Look! It's itty-bitty Boo! 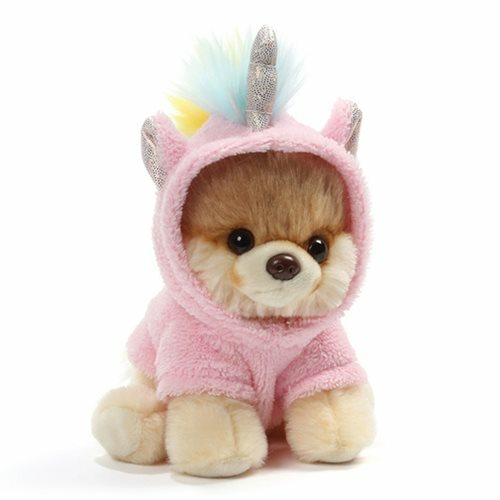 Boo the dog is cute as can be as he plays dress-up as this Itty Bitty Boo Unicorn Plush #044. Made of a soft polyester blend and measuring about 5-inches tall x 4-inches long x 4-inches wide, he's ready to snuggle and hug. Ages 1 and up.